In May 2015, Steven Gerrard's Anfield farewell was ruined by a 3-1 defeat at home to Palace. The following season Jurgen Klopp suffered his first defeat as reds boss at home to Palace - it was the first game that Steven Gerrard had attended at Anfield since his move to LA Galaxy. And then the following season in April 2017, Palace again walked away with all three points in a 2-1 victory in which Christian Benteke scored both of their goals. 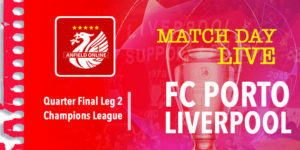 Liverpool managed to end the curse and scrape a 1-0 win in the opening home game of last season, but with memories of that 3-3 in the 2013/14 title charge season as well as recent results - Crystal Palace remain a bogey side for Liverpool. 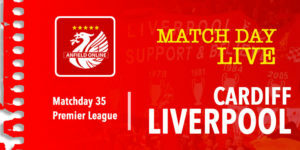 The reds can extend their lead, albeit perhaps temporarily, to 7 points at the top of the table with three points today. However, Man City's only home defeat this season came against Crystal Palace. They also have draws against Arsenal and Man Utd to their name this season. 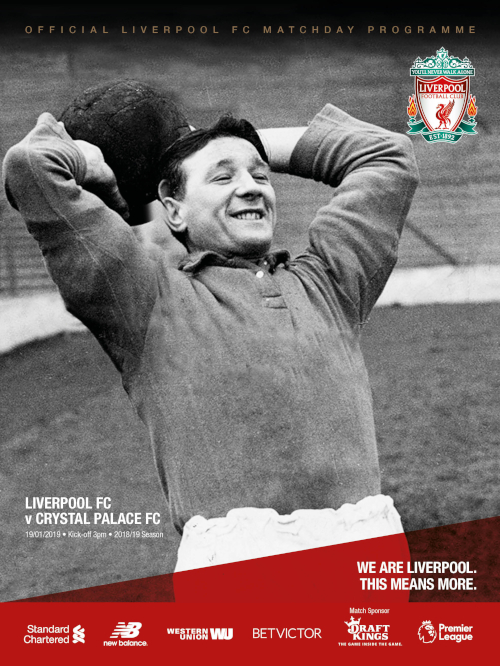 The pre-match programme features legendary LFC boss who would have turned 100 on this coming Wednesday. A mosaic will be held up on the Kop alongside a minutes applause for both him and former player Peter Thompson who passed away recently. Three changes - Milner, Matip and Keita in. Roy Hodgson in the dug out and Mamadou Sakho on the pitch. Martin Kelly and Christian Benteke on the bench for our opponents. They start with both Wilfried Zaha and Jordan Ayew. Confirms that Wijnaldum not returned and that Keita gets his slot because of his work-rate in training. "We had a couple of issues during the week. So I had to find solutions and I like the solution. Millie trained the position the whole week; Naby trained outstandingly well, so I like to show I see something like that. There have been 7 goals already in the opening Premier League game. We've got another 7 games to go through. Arsenal v Chelsea is today's 5:30pm TV game. 3' Naby Keita occupying a very advanced role on the left hand side in these early stages. Almost appears to be a front four diamond. Liverpool on the attack early on. 4' Robertson cross into the box easily caught by Speroni. 8' Mo Salah corner beats absolutely everyone at the edge of the area. But it works it's way back to the Palace goal area and another corner. This time it finds Mane who loops a header in. Virgil van Dijk can't quite get the ball over the line. 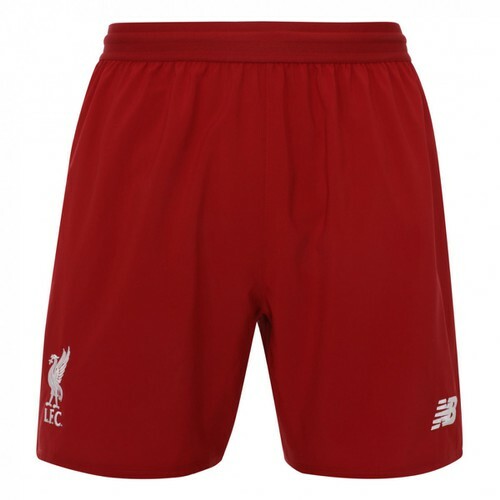 11' Through ball from Milner and it falls to ! Matip !. Julian Speroni is out quickly to smother that chance. Liverpool seeing all the ball but Zaha and Ayew are very high up and not allowing the reds defence any time to play around at the back. 16' The opening 15 minutes has flown by. 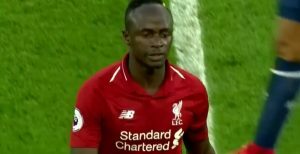 Ball played through there by Sadio Mane towards Mo Salah but he runs out of pitch - it's gone for a goal kick. 22' Mo Salah causes absolute mayhem inside the area. He, from nowhere, takes two Palace players out and skips into the area. Pure panic stations from the Palace players but they eventually clear a Milner cross. 24' Little spell of Palace possession for Liverpool to defend now. 27' Zaha earns a soft free kick there. Keita clearly got the ball. Andros Townsend kicks the ball on to his own head and it's a Liverpool goal kick. 28' Ball drops in the box and it looks like Robertson and Keita both go to smash the same ball. It goes nowhere and Keita raises his hand to apologise. 29' Important block from Sakho. Milner had got behind the defence there and was sliding a pass across the 6 yard box before the former red player cleared. 32' Couple of great set pieces. Matip went close from a corner and van Dijk's header just gone narrowly wide from a free kick. 33' Andros Townsend with a handball there inside the box. About 5 yards away from the ref. Penalty not given. 34' Crystal Palace take the lead. Counter-attack. Zaha at the edge of the area drags the ball back into the area and who's there - Andros Townsend to bundle the ball into the Kop goal. Very much against the run of play. 42' Jordan Ayew gets booked for a late challenge on Jordan Henderson. Liverpool have got a tough job now to break down Palace. 44' Ball flies into Andy Robertson but his shot comes straight back to Fabinho. Fabinho smashes it at goal, it bounces off Robertson and loops high in the air - Speroni catches. 45+1' Naby Keita catches Andros Townsend there. No card given. Palace currently on course for their 4th Premier League win at Anfield in the last five seasons! Andros Townsend got away with a handball in his own area and then promptly went up the other end and put away a Zaha cross. Liverpool dominant in that half but it's Crystal Palace who have somehow got the half time lead. Big half required from the reds. We are back underway. No changes in personnel at half time. 46' Wonderful start from the reds. 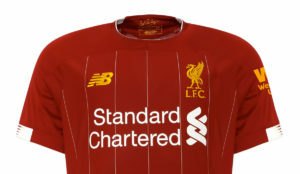 Van Dijk hammers a shot in - it's deflected in the air and Mo Salah slots that coolly away. Wonderful skill from Mo Salah. 49' Oooohh. Drilled narrowly wide by Andy Robertson. 53' Liverpool take the lead!!! Roberto Firmino slides it into the Kop net and the reds, who have been roared on in this second half, have turned this game on its head. 59' Liverpool on the front foot here as they go in search of a third goal. Excellent work from Milner there to win the ball back on the Palace goal-line. The crowd are up for this now. 65' Equaliser for Palace. They get a corner and James Tomkins jumps the highest to head the ball away. Very unlike Liverpool conceding there. Shaqiri being readied to come on here. 71' Naby Keita makes way and on comes Xherdan Shaqiri. Can he be the matchwinner? 75' Mohamed Salah strikes his 50th Premier League goal to give Liverpool the lead. Milner with the assist and Salah smashes it into the net. 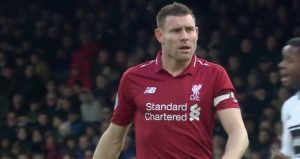 82' Milner collects a yellow card there for a foul. From the free kick van Aanholt gets his head on it but it squirms narrowly wide. This game is not done yet. 84' Palace have made all three of their subs now. Meyer, Schlupp and Wickham are all on - Ayew, McArthur and Kouyate have gone off. 86' Fabinho down. Could be a sub coming up here. 87' Adam Lallana comes on for Fabinho who does walk off. Fingers crossed that's nothing too serious. 89' Liverpool down to ten men. It's a second yellow card for James Milner and he's off. Just caught out by Zaha's pace there. 90+2 SADIO MANE!!!! 4-2 to the reds. That's sealed it for the reds. 90+5 Hello! Max Meyer gets one back. This is going to be nervy again! 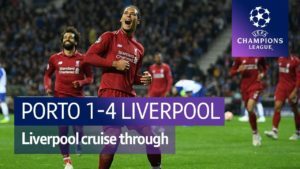 Liverpool hit 60 points - a figure that they have struggled to get in entire seasons for many seasons in the last decade. Still another 45 points to play for too.